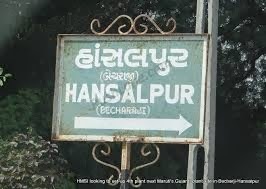 In a signed letter to the district collector, Ahmdabad, several villagers have said that land allotment to Maruti India Ltd in village Hansalpur has been carried out "in violation of their land rights." Wanting the district collector to order stoppage of the construction of a boundary wall around the land allocated to Maruti at a time when the matter is yet sub judice, the letter says, “We feel that a grave injustice is being done to us.” Originally given to to Maruti India Ltd, the land is being transferred to Suzuki Co Ltd for reasons which have still not been made public. Saying that repeated attempts to protest against this were suppressed, the letter warns, “If we are not heard in Gujarat, and we are not allowed to voice our non-violent protest in the state, then we will be forced to go out of the state and raise the issue of a skewed model of development practiced by the Gujarat state.” The land in question forms part of the Mandal-Becharaji special investment region (SIR) in North Gujarat, whose area was reduced from 44 villages to just eight villages following strong protests led by Jamin Adhikar Andolan Gujarat (JAAG). Calling construction of the wall “illegal”, the letter reminds the district collector that they were allocated the land in 1954. “The then government, had allotted this land to the maldharis, the Dalits and the Thakores of the village, who were landless (vide survey nos. 1/A/1 block no. 293) admeasuring 83-78-20 ha. The same was given for cultivation on a short-term lease”, the letter says.